NWORR was formed in June 2009 as the brainchild of Howard Pinkley, life long resident, avid sailor, entrepreneur and the unofficial mayor of Point Place. 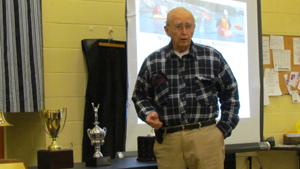 He had a desire to create a canoe and kayak club in hopes that it would inspire families to spend quality time together enjoying the lakes and rivers in the area. His vision was realized in June 2009, when the Northwest Ohio River Runners (NWORR) canoe and kayak club was formed in the Point Place/Shoreland area of Toledo, OH. In April 2011, the Howard Pinkley Landing (HP Landing) at 2250 Shoreland Ave for kayak and canoes was open. In June of 2019 NWORR celebrated it’s 10 year anniversary! Mission Statement: To inform, teach, and share in the fun and safety of the sport, for individuals and families in northwest Ohio and across the country. Questions? Please connect with us on Facebook or email us.